Sign up for Program access to Lacrosse All Stars and reap the rewards of sharing your lacrosse program’s content across our global network! What's in it for my lacrosse program? 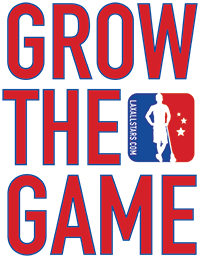 Lacrosse All Stars created the Insider membership program for those with the desire to learn more about the game in a private, unfiltered and all-inclusive environment. Your lacrosse program becomes a true partner of ours by signing up! We’re here for you when you need anything at all, including on-demand media coverage plus the best uniform and prices on the planet through our shop. Every user associated with your program will get all-access to LaxAllStars premium content, including behind-the-scenes video footage and expert analysis you can’t find anywhere else. Step 3: Sign up & we’ll be in touch! Got a question about program access?